Send an email to info@videocopilot.net and provide the email address for both the model pack account and the Element 3D account. We can merge the model pack into your Element 3D download account so you can license the pack. 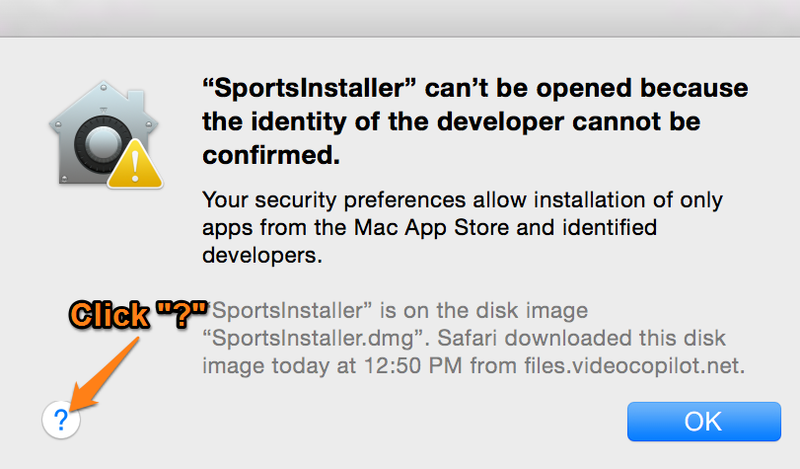 To solve this, attempt to open the installer again. Then when it gives you the error, click on the question mark. 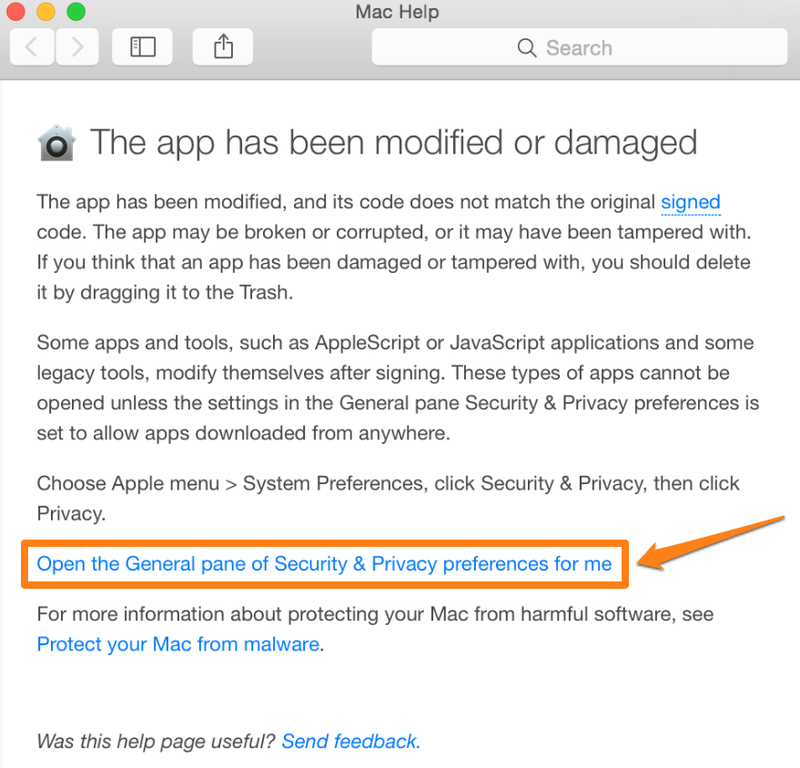 Click the "Open the General pane of Security & Privacy preferences for me" button. 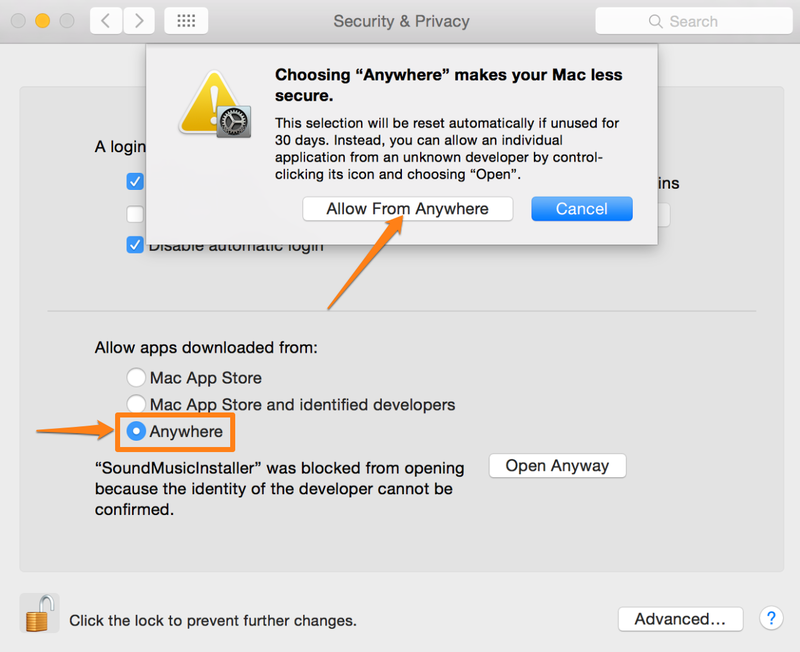 You will have the option to change a security setting in your System Preferences from ‘Allow applications downloaded from Mac App Store' to ‘Allow applications from Anywhere.’ This will allow you to run the installer as normal. This has to do with the location chosen for the Element 3D assets when Element 3D was installed. It could also be a permissions issue. First Solution: Make sure you have Administrator privileges when installing the pack. 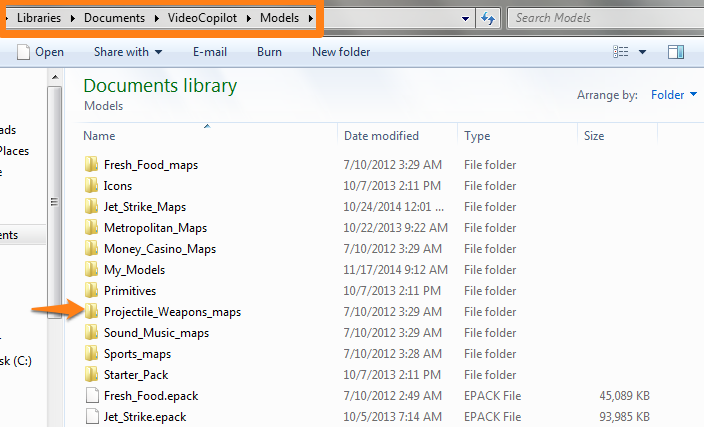 The folders for the Element 3D assets and the After Effects Plug-ins folder should have full admin privileges also. Then run the Model Pack installer again to see if it works. Second Solution: Run the full Element 3D installer again (not the patch) and choose a local location for the Element 3D assets that’s on the same hard-drive that you’re using to run the installers. 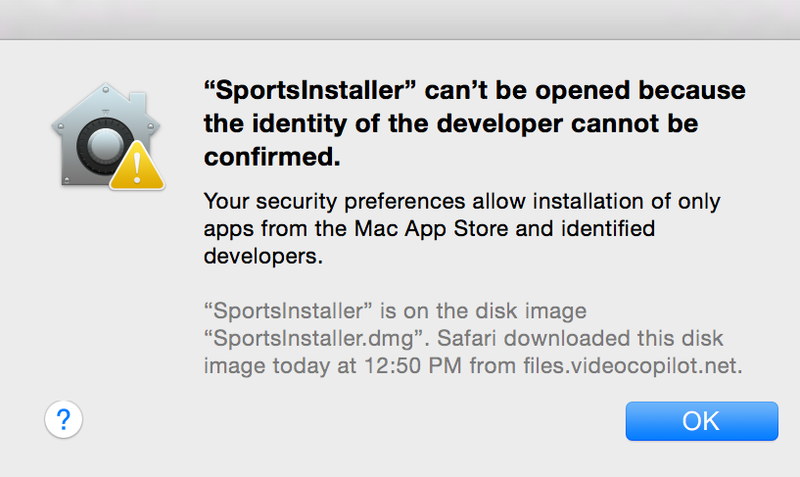 Then run the pack installer again and see if that works. Third Solution: Run the full Element 3D installer (not the patch) and choose a custom location for the Element 3D assets. For testing purposes we recommend your Desktop. Complete the Element 3D installation and then run the Pro Shaders installer again and try that. If you still need the Element 3D assets installed in the location you originally wanted, then run the Element 3D installer again, choose the original location for the Element 3D assets, and then manually move the Pro Shaders assets from your Desktop to that location. 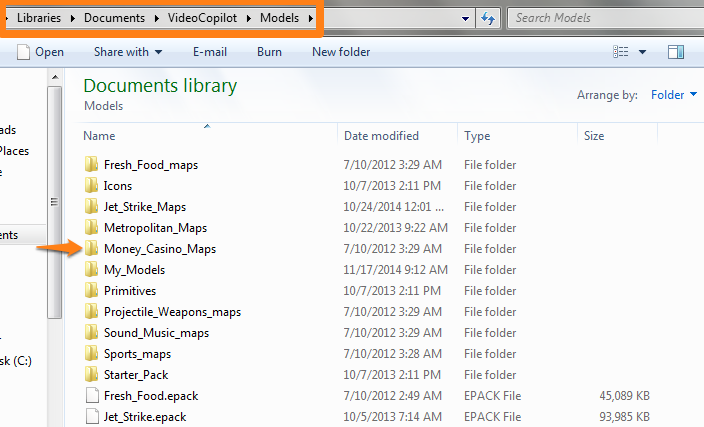 Alternate 3D model formats for 3D software - To find these, log-in to your Video Copilot download account and click on the model pack download button. 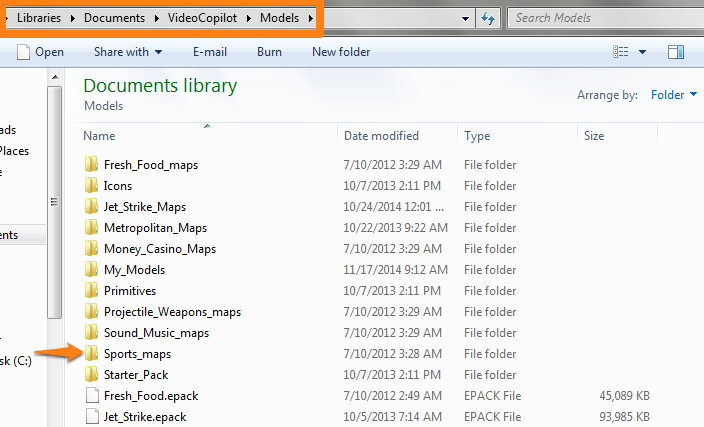 On that page there is a download called “Alternate 3D Formats”. 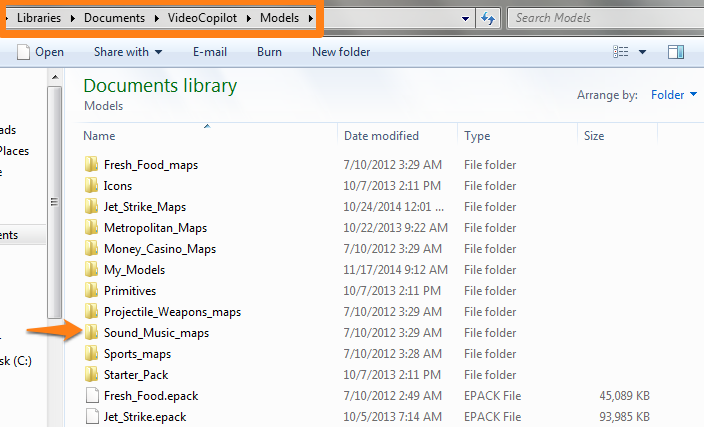 Below are examples of where the model pack texture maps will be located (it is the same idea for each model pack).